Instant messaging programs have been one of the most popular modes of communication around for several years now. MSN, AIM, Yahoo, ICQ, IRC, there are dozens of these programs that let people across the world communicate. Chat programs are great, but the problem with having so many different programs is that, a lot of the time, while you are on one program your friend is on another. If your friend is on Yahoo and you are on AIM then you have no way to communicate. You could run both AIM and Yahoo at the same time, but that seems a little silly, doesn’t it? Wouldn’t it be easier, wouldn’t it be faster, if there was one instant messaging client that you could use to talk to everyone? There is. Miranda manages your IM clients and allows you to connect to different chat programs without running multiple messengers. MSN, AIM, Yahoo, ICQ, IRC—even jabber and gadu-gadu—Miranda connects to them all and allows you to connect to each messenger at the same time and talk to your friends on different messengers. That’s great. It’s so much easier than keeping seven different instant messengers on at one time. Check out Miranda now and see if you can make your life a little simpler. Computers are complex. With thousands of calculations and processes going on all at once, it is hard to know exactly what your computer is up to all the time. Sometimes it even seems like computers have minds of their own when they run programs without being told to or run slowly because they haven’t had enough attention. Not everyone can be a technical genius and know how to make their computer run the way they want it to—and nobody should be expected to be. Windows Power Tools – A collection of six easy-to-use, invaluable utilities that will totally change your understanding of how your computer works. Startup Manager – Control the programs that open and run when you start your computer. Resolution – Change screen size for movies and games. Eraser – Erase sensitive data that identity thieves use to steal from you. Here is the first of our high lighted products. At Uberdownloads.com, we want to give our visitors the best control over their computers possible and we believe that this product, like the other four in our series, will totally change the way you use your computer. space and speed up system performance. FAT partitions to NTFS partitions. TIF, and PNG formats simultaneously at high speeds. your system to reduce the chance of system crashes. With Windows Windows Powertools, you will have the ability to make your system run better, faster and with more stability. Welcome to our second of four featured programs designed to help you get a better handle on your computer. Here’s a link to Part 1, Part 2, if you missed it. We hope that each of these four programs will improve our viewers’ computer experiences. You turn on your computer and you sit there. You wait. You keep waiting because too many programs have to start before your computer will let you touch it. And none of them are even the programs you like, that you use every day, or that you would want to start up with your computer. What’s going on and, more importantly, how do you make it stop? Startup Manager is your solution. Startup Manager has two key features that will help you control your computer: The first, is the ability to cut off programs that want to start themselves when you turn on your computer. Every program you run slows your computer down a little. Every extra program on your screen means that when you do finally get to do something your computer will be tired and laggy. Quicktime is great but not everyone needs it to start up every time their computer comes on and then sit there slowing down the machine. The second striking function is Startup Manager’s ability to turn programs on at startup. If you find that every time you start up your computer you have to go for the same three or four programs then wouldn’t it be convenient if they would just start when your computer started? There you are. Keep your hats on for Part 4 and Part 5 . This is our third in a series of four products that will help you understand and control your computer’s features without having to become a computer expert. does exactly what the name promises—it allows you to temporarily change your screen resolution. Resolution is not just a replacement for your display properties’ ability to change your screen’s resolution, it is a semi-permanent change for media display, video games and people who do not have permission to change their resolution in system properties. By design, Resolution allows you to change your screen size if you do not have access to change it through normal channels but Resolution can also be used in problem solving where it allows a user to change the screen’s resolution without permanently changing the computer’s data. The key feature is that, when you’re finished with Resolution, it sets your resolution back to normal. If you need to change your resolution to watch a movie or play a video game on your screen then you don’t have to mess around changing it back and forth, just use Resolution and when you’re done put your screen back to normal. is useful at schools and in the workplace where you need to use the computer but don’t have permission to change the resolution. Thanks everyone. Enjoy Part 5. This is it! The last of our four part series high lighting utilities that will help our visitors get control over their computers and help them do more with their machines. Just in case you missed it, here are the other four parts: Part 1, Part 2, Part 3, href=’http://www.uberdownloads.com/index.php?id=54′>Part 4. When you delete a file you expect it to go away. Would you be surprised to know that it doesn’t? You know when you use a pencil eraser to erase your work and the impressions from what you wrote are still left on the page? Well the same thing happens when you delete your files from your computer. What you deleted seems to be gone but anyone who knows how to look can find it. Your file isn’t gone; it’s just harder to see. For paper the solution is easy, you get a shredder and any of your important documents—account numbers, passwords, love letters—get turned into much. Eraser turns your unwanted computer files to mulch. Eraser doesn’t just delete your files it truly erases them and removes any trace of your files on your system. And don’t think that you don’t need eraser because you don’t have anything to hide. We are all living in a world where security has become a priority. Now, with all of your information online, you can lose yourself to identity thieves and hackers. It only takes one bank statement, one online tax return, one Amazon.com receipt saved on your computer to give a thief access to everything you have. Eraser will keep your data safe. That’s it, four easy-to-use programs for controlling and making the most of your computer. Your computer is a tool—your tool—and you should always be able to make your tools do what you want. Good luck with your new products! More and more, design software is a necessity for small business and personal work. Not everyone needs professional design software, but sometimes you only need a program a few times a year and sometimes it’s nice to have. If you want to edit photos you need Photoshop, if you want to create vector graphics you need Illustrator, if you want professional layout you need InDesign, but what if you didn’t? These three programs, GIMP , Inkscape and Scribus , can effectively eliminate the need to spend money on your design suite. GIMP is the opensource solution for people who don’t want to pay thousands of dollars for a photo editing program. 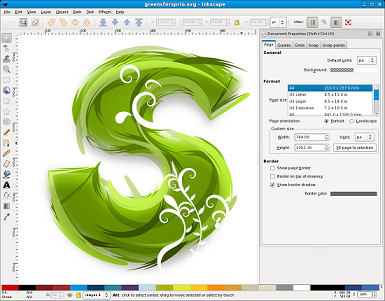 GIMP has many of the same functions as Adobe Photoshop and none of the cost. With GIMP you can do anything from touching up pictures to creating your own art. You can change the perspective on photographs, remove damage from pictures or merge pictures together—and just about anything else you can imagine. Inkscape is the freeware answer to expensive design utilities. We’re not talking about MS Paint here. Inkscape has all the utilities of a major design utility. Inkscape is specifically designed for vector graphics which means that images don’t get blurry or pixilated when they are too large or too small because vector graphics don’t use resolution the way bitmap utilities do. 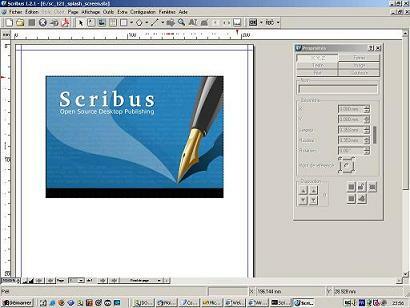 Scribus is a professional design program that lets you lay out books, manuscripts, reports, papers and just about any project. Scribus lets you professionally format your work and prepare it for printing or publication. With Scribus, you can edit your publication simply and easily and Scribus comes loaded with formats and fonts to make getting your project to look just right just that much easier. With these three opensource programs you can revolutionize your design experience and save yourself a lot of money. If you’re still not sure then remember; opensource means that you can download it, try it and decide if you like it at no cost to you. You’ve just opened a new DVD and slid it into your computer, your brother in Albuquerque has just sent you video of the new baby or you want to watch your favorite show online. You push the play button and…nothing. Your media player sits there black and silent, maybe it is good enough to give you an error or maybe it gives it everything it’s got and plays you some sound with pretty swirly pictures instead of your video. What’s just happened? What’s wrong? Well, how are your codecs? What are codecs anyway? Well, to put it simply, your video gets all scrambled up and compressed while it’s stored on your computer or DVD. A codec is the key to unscrambling your video file and without it your computer doesn’t know what to do with the file you’re trying to play. Why didn’t my media player come with a codec? Your media player did come with a codec, but every media player has its own codec, as does every different type of media recorder and chances are that whoever made your video had a different one. To make it more complicated, you might even have the right codec for your file, but new codecs are released all the time and your codec might be outdated. Many codecs are available for download online. Codecs are absolutely free because the people who make them want you to use their products, but there are a lot of codecs out there and, short of searching for each and every one, your best solution is to download a codec pack or a media player that comes with most of the codecs you will need. Meet VLC Media Player. VLC Media Player comes equipped to play most video codecs and file formats. VLC replaces your current media player and allows you to play just about any video you can find. VLC is a freeware medial player which means it is free to try and free to use. Even better, VLC Media Player has the capability to repair and play damaged video files so if it turns out that the codec is not your problem then VLC is still your best bet to play your files. Download VLC Media Player now, install it and be watching your videos in just a few minutes. It’s just that easy. Open source media players are making a valiant push to overtake their main stream counter parts including Windows Media Player, Real Player, and QuickTime. While most of the “big 3” come preloaded on your PC and play a decent amount of the videos you throw at them, these same players have become incapable of playing many new and upcoming formats and struggle to update in order to accommodate for the growing variety of media files that pop up every day. This is especially apparent when utilizing torrent sites and the frustration that comes when your stock media player won’t play that video you just spent hours downloading. This is where open source players show their worth. Players on this list carry a massive amount of codec’s that give you the ability to play just about any video file and include specialized features that are nowhere to be found in Windows Media Player, Real Player, and QuickTime. Top 3 open source media players that should replace your stock player. 1 VLC Plays more video files than most players: Quicktime, AVI, DIVX, OGG, and more. Compact, but powerful media player. Plays anything under the sun. No install necessary. 3 Mplayer Similar to VLC. Plays loads of video formats. 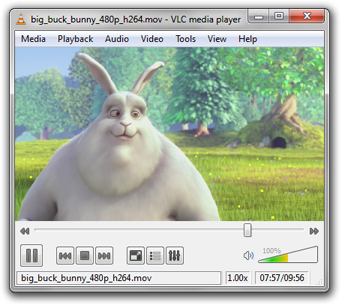 Media Player Classic – It provides most of the same codec’s as VLC and provides a familiar interface for most. Media Player is possibly the most solid player when it comes to playing HD videos. Were Windows Media Player, VLC and nearly all other players fail to play a HD file without skipping frames, Media Player Classic seems to pull off quality playback were others can’t. Mplayer – Mplayer is a slightly less known player which also comes with a “play anything” reputation. In addition, this program gives you the ability to save streaming content, such as YouTube videos, to a file with a plug-in called MEncoder. This player provides all the basic functions of a media player in a nice simple interface.